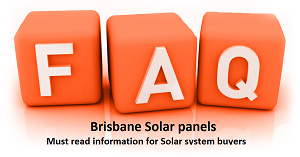 what is the Feed in Tariff in QLD? You Are Here: Home / SOLAR NEWS: Our Blog / Uncategorized / what is the Feed in Tariff in QLD? 8c, hook up with Click Energy, Origin, AGL and they will pay you Additional!!! up to 18c!! So as you can see, the savings are Massive, who cares what the FIT is, worry about how much money you will save from usage!